THE HOCKEY SCHTICK: Will Obama side with science and jobs, or with green religionists on Keystone? Will Obama side with science and jobs, or with green religionists on Keystone? Will Obama side with science and jobs, or with green religionists? WSJ.COM 3/4/13: President Obama's spokesmen claim that cutting $43 billion out of a $3.8 trillion federal budget this year will be an economic disaster, though investors seem unconcerned. But if Mr. Obama wants shovel-ready spending stimulus today, why doesn't he finally approve the Keystone XL pipeline? It won't cost taxpayers a dime. On Friday the pipeline from Canada through six U.S. states to the Gulf Coast received another boost when a State Department study found there would be no significant damage to the environment. This follows Nebraska Governor Dave Heineman's endorsement in January of a revised pipeline route that now skirts around the Sand Hills region of his state. All of which means the White House has run out of excuses to keep delaying approval of a $5.3 billion private investment that would provide some 16,000 direct jobs and more downstream. The State Department study, the fourth such U.S. review in four years, found once again that the pipeline wouldn't make much difference to climate change. The Alberta tar sands are the world's third largest reservoir of oil, and Canada is going to develop them one way or another. All told the oil sands contribute a mere 0.01% of global carbon emissions, and if that sort of thing bothers you, Canada is offsetting that with carbon-reduction policies elsewhere. State's report concludes that the pipeline would result in "no substantial change in global greenhouse gas emissions." The Keystone Oil Pipeline is pictured under construction in North Dakota. If the Alberta oil doesn't flow south to America via the Keystone XL, it will flow west to China via other pipelines or rail. It will also flow to the Gulf Coast by other means, including pipelines and rail to East Coast ports, and then via tankers in the Atlantic and around Florida. Keystone XL will have a smaller "carbon footprint" than these alternatives. As for the danger of spills, the high-tech pipeline will be buried underground and contain valves that allow for rapid detection and shutoff. The environmental risk is arguably greater on a tanker. Even if the oil sands were shut down entirely, Gulf Coast refineries would merely use the similarly heavy oil from Venezuela, also shipped via tankers. Thus the issue is not whether the oil will flow but how much Americans will benefit. A rule of thumb is that for every dollar of imported foreign oil, North America receives about 10 cents of the economic benefit. The Venezuelans, Saudis and others get the rest. The benefit from oil produced in North America is roughly 80-90 cents of each $1. This includes the cost of producing and transporting the oil, and the ancillary jobs and sales that flow from it. The Keystone XL has also reserved space for about 250,000 barrels a day of oil produced in the U.S., which means a new and environmentally safer outlet for oil from the booming Bakken fields of North Dakota. All of this was known two years ago, but Mr. Obama opposed the project in 2011 to appease the Sierra Club and his other green financial donors while running for re-election. The pipeline's builder,TransCanada, applied again with a new route, and now the President faces another choice. His labor supporters favor the pipeline, which will provide thousands of union jobs. His green supporters don't much care about jobs because they are already rich. They are also impervious to evidence like that in the State Department report because global warming is their religion. "Mother Nature filed her comments last year—the hottest year in American history; the top climate scientists in the U.S. have already chimed in," said Bill McKibben in reaction to the report. He's the leader of the anti-Keystone forces who was arrested last month after chaining himself to the White House gate. The opponents' goal is to shut down all fossil-fuel production, one step at a time. They're on the way to destroying the U.S. coal industry, and the Sierra Club has made shale-gas drilling its next political target. They want the world economy to run on windmills and solar panels. And these are the folks who denounce Republicans for ignoring science. Meanwhile, Mr. Obama and Secretary of State John Kerry need to think about the impact of rejection on U.S.-Canada relations. One of the better economic stories of the last 50 years has been the integration of the North American economy, including the free flow of goods, investment and to some extent people. 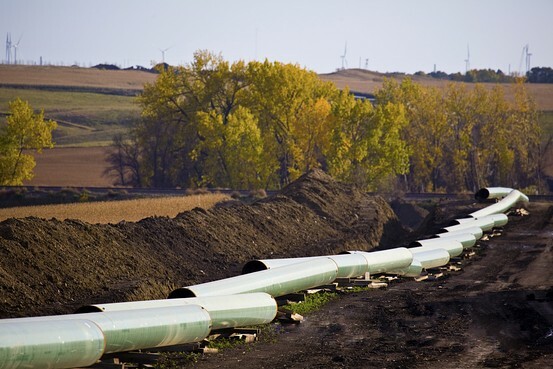 Rejection of the pipeline would be an insult to Canada and a step back from that integration. The larger issue is whether the U.S. wants to continue to be considered a serious economic nation with rising living standards and a modern energy supply. If Mr. Obama turns down Keystone XL, the Chinese will be laughing at us as they buy Canadian oil and build their economic power, while America adapts to the Sierra Club's preferred future of the world as Walden Pond.